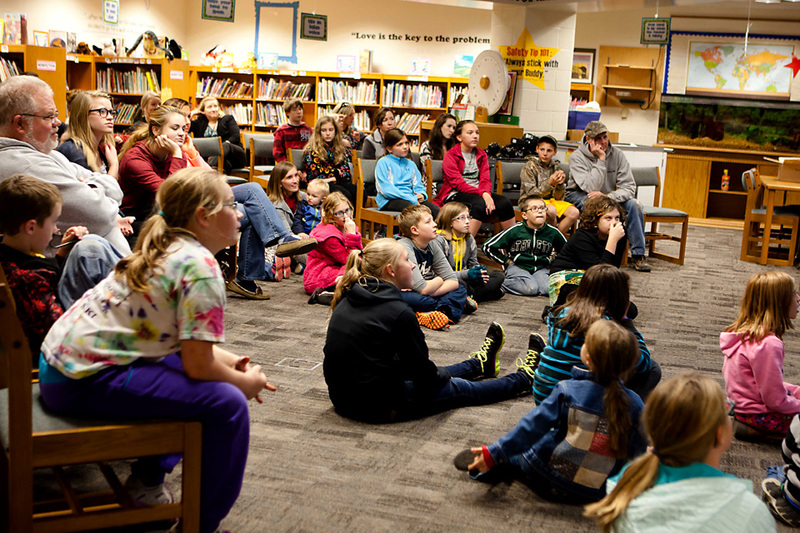 ← Missoula Children’s Theatre Returns to Jenison! 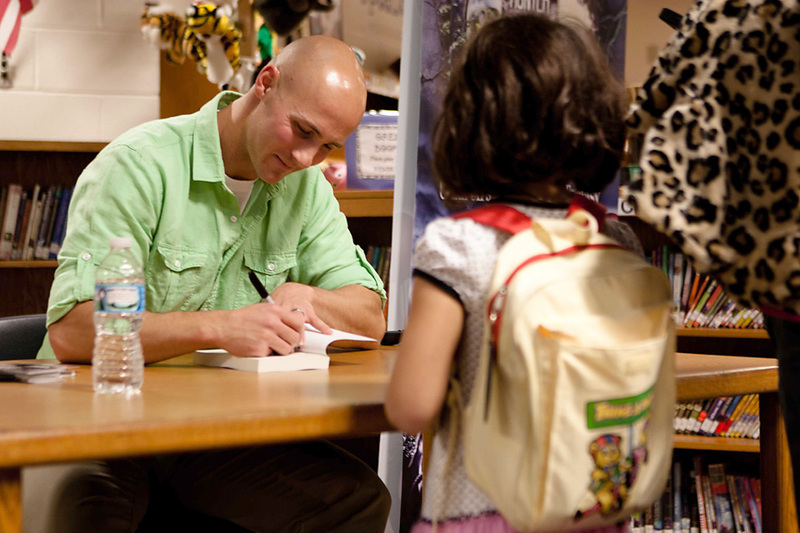 As families were starting to gather for Author’s Night, the anticipation was building. “I can’t WAIT to get this book!” one excited boy said under his breath but too excited to fully restrain himself. And he wasn’t alone. 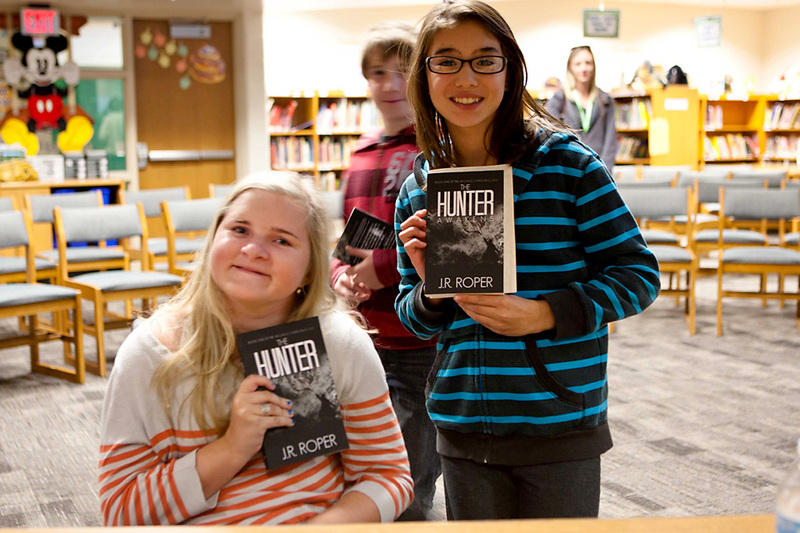 The Pinewood Media Center was packed last week as about 50 parents and students gathered to hear from popular Jenison Junior High teacher, Joe Roper, who is a new published author! 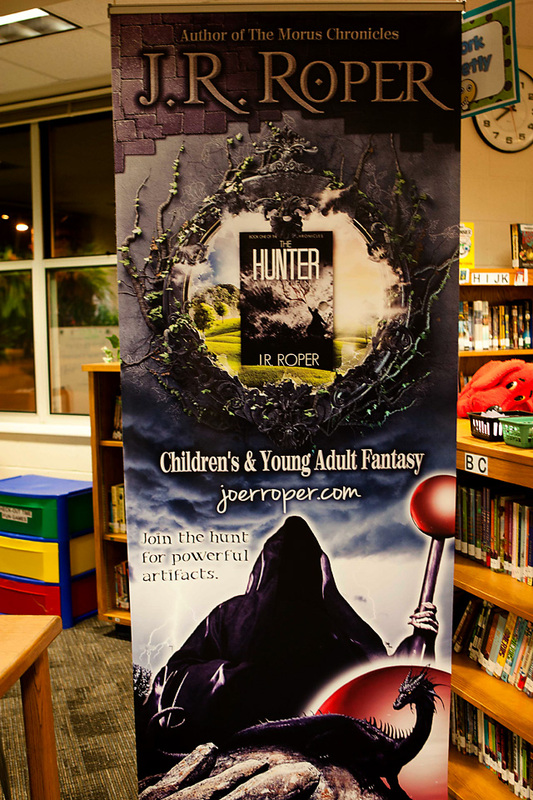 Mr. Roper’s book, The Hunter Awakens, was published in July and is a contemporary fantasy adventure about a thirteen year old boy who goes to live with his grandparents only to discover secrets about his family and himself. It is the first book in a trilogy and readers will only need to wait until May of 2015 to read book two! 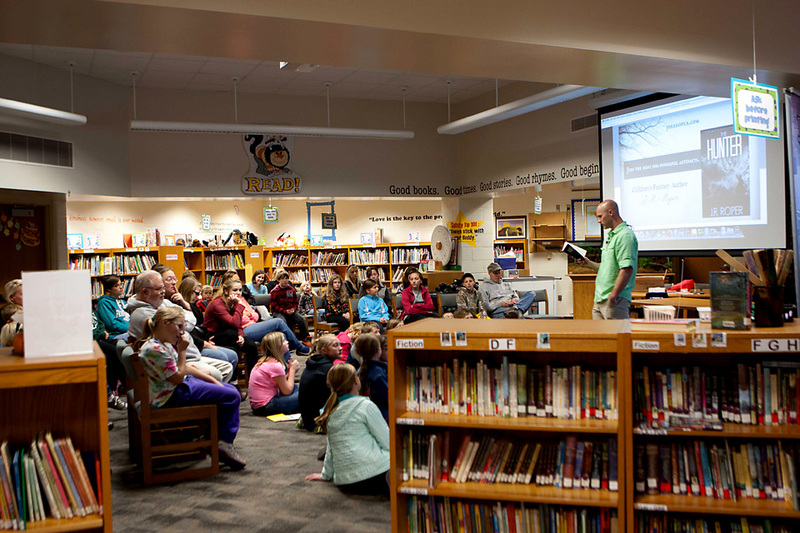 Pinewood Principal, Rachael Postle-Brown invited Mr. Roper to speak at their annual Author’s Night event as part of their current initiative for students to be more active and have alternatives to watching TV that they can be excited about. She also wanted to bring the idea of becoming a writer a little closer to home, “They know an author. Someone who they see and know actually had a book published….to help with that inspiration of knowing that anything is possible, if they really want to be a writer, they can”. After submitting a short story to Crushing Hearts and Black Butterfly Publishing and hearing from so many in the short story community how happy they were with their small publishers he decided to give them a try. Now, he’s happy with his choice saying, “it’s more like a literary family” where he enjoys more control than the average author in regards to cover design, editing and even online promotions. He has certainly captured our students and we’re thrilled that one of our own teachers has had the opportunity to make his dream come true and we hope it inspires our students to do the same! 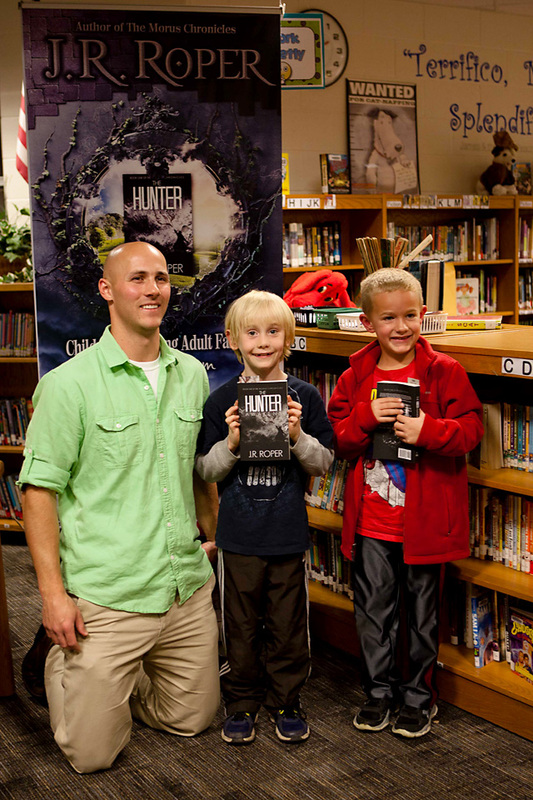 If you’d like to get your very own copy of The Hunter Awakens you can do so at Amazon! What a great way to find a new favorite story and support our teachers at the same time! Aiden finally gets his book! Everyone’s excited to read a new story! Congratulations Mr Roper! We’re so proud of you and can’t wait for book two! How cool! 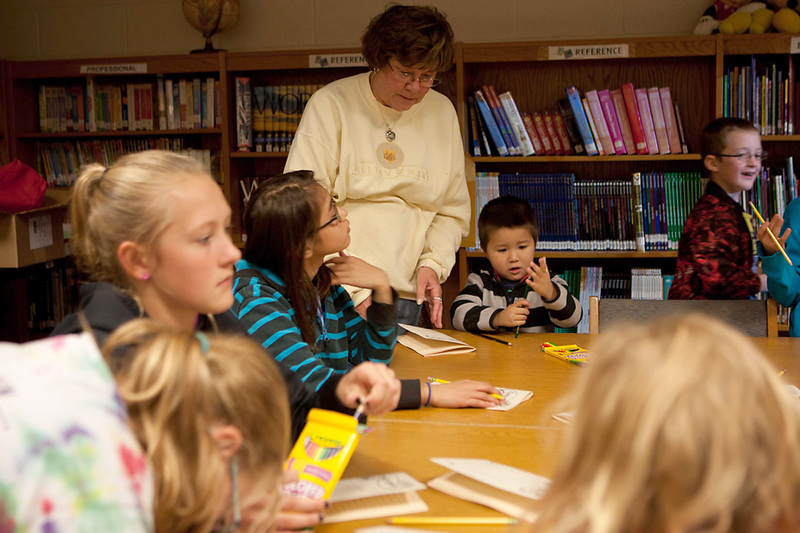 What a great thing for the kids to see one of Jenison’s teachers working so hard to achieve a goal. Looks like a cool book. Thanks Mr. Roper! Great modeling for our students! Congratulations, Mr. Roper! 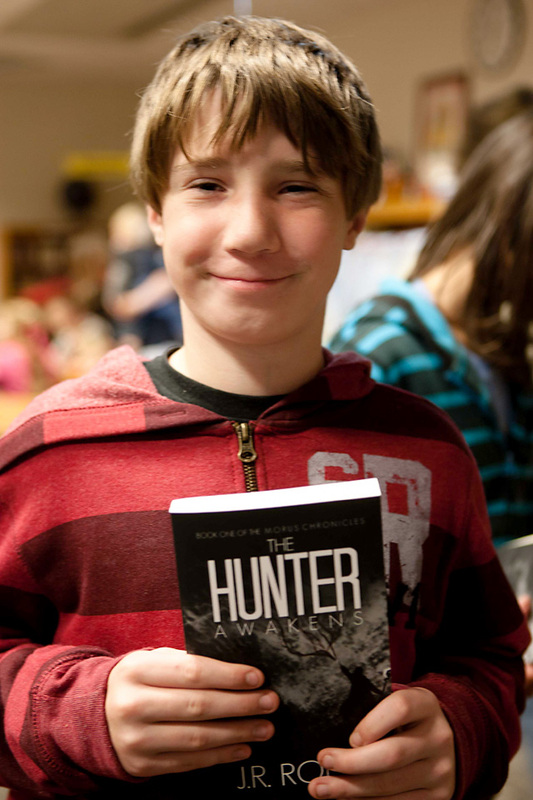 I have an addition to two grandsons Christmas list – your book – sounds like a good read! Thank you all so much for the support. It was an amazing night and I appreciate this fantastic article. Thank you! So insanely happy for you!! !